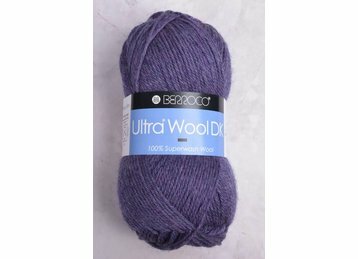 Truly a classic, Ultra Wool DK is a premium 100% superwash wool that is soft, durable, & offers a great value. The yarn has a beautiful twist for stitch definition & the beautifully saturated color palette has a wide range of solids & heathers. Lovely for garments, accessories, blankets, & baby.